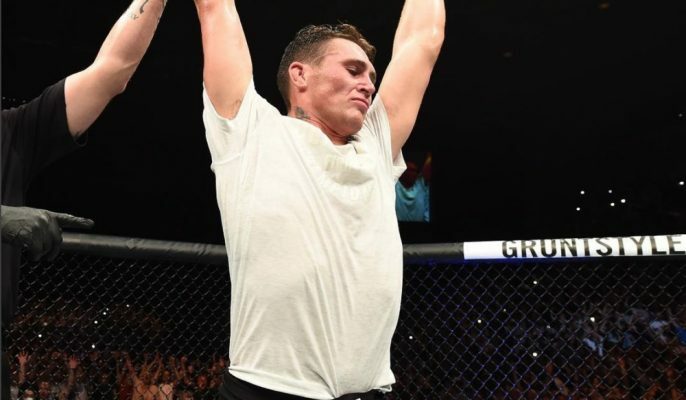 Darren Till fancies taking on UFC middleweight legend Anderson Silva at UFC London on March 2. The UFC are yet to announce a main even for their UFC London fight card next March, but Liverpudlian Darren Till has a few ideas. Till has been laying low since his loss to Tyron Woodley at UFC 228 in September and hasn’t fully committed to whether he will stick around at welterweight or make the move up to middleweight for his next fight. Taking to his Twitter account yesterday though, Till took aim at former UFC middleweight champion Anderson Silva who has recently been linked to a showdown with Conor McGregor. The Irishman said he’d like to fight the Brazilian in an interview with Ariel Helwani prior to his fight with Khabib Nurmagomedov at UFC 229. “@SpiderAnderson begging for a comeback against anyone, what’s going on with this fella” Save your legacy. Does anyone really think he has still got it ? I reckon he would get slept in one,” Till tweeted. He then followed up this tweet referencing Silva’s recent back and forth with McGregor and proceeded to call him out for UFC London on March 2. Could this be he main event for UFC London? Till will no doubt be at the front of the queue to headline the show and there appears to be no shortage of opponents who want to take the Liverpudlian on. Tell us who you would want to headline the UFC ‘s next trip to the English capital.